A Streetcar Named Desire - Fangirls Ahead! Wow. Well. 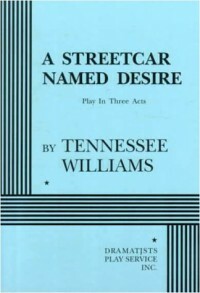 I guess there's a reason [b:A Streetcar Named Desire|12220|A Streetcar Named Desire|Tennessee Williams|https://d202m5krfqbpi5.cloudfront.net/books/1389153133s/12220.jpg|142449] is a classic.